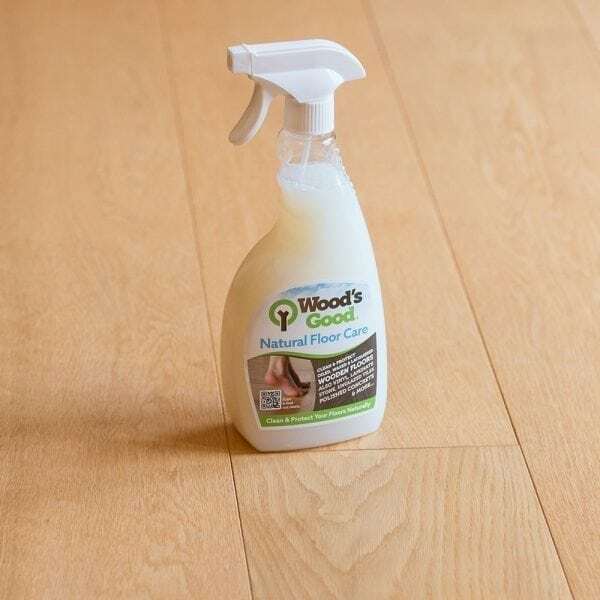 Designed to clean and protect oiled, waxed and lacquered wooden floors. The soap solution works to clean the surface removing ground in dirt, while nurturing waxes(including responsibly sourced Brazilian Palm Wax) coat the surface with a water resistant protective film which also works perfectly on many other surfaces including laminate, vinyl, linoleum, cork, natural stone, unglazed tiles and polished concrete. 1. Vacuum clean to remove loose dirt. 2. Floor must be dry. 3. Shake the spray well before & during use. 4. Working in sections spray the surface. 5. Wipe the surface with the grain using a Wood’s Good® Applicator Mop Pad or lint free cloth/ mop. 6. When finished allow to dry for 30 – 60 mins. 7. Rinse applicator pad with clean water.